The company also said it could no longer offer Sears Protection Agreements. A clothing hanger holds shirts for sale at a Sears store in Mississauga, Ont. on Oct. 6, 2017. Canadians will soon be able to buy liquidated merchandise from Sears, but without the company's additional warranties. 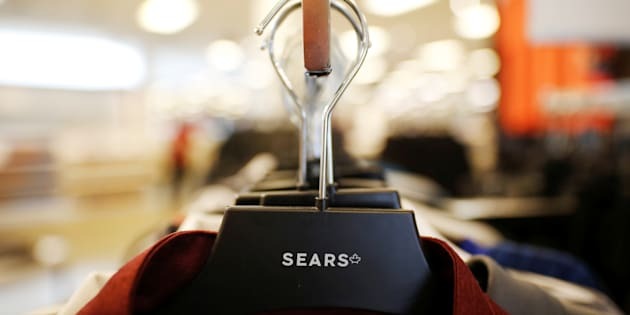 After receiving court approval to liquidate its remaining 130 stores, Sears Canada announced in a Monday press release that Canada-wide sales in its stores are expected to begin on Oct. 19. Customers can still use gift cards and redeem Sears Club points during the sales, but all sales are non-returnable or exchangeable. The company also said it will no longer honour its Sears Protection Agreements, its extended warranty on appliances, after Oct. 18. Customers who had purchased the warranties in the last 30 days can claim a full refund, while manufacturers' warranties will still be available from those companies directly. A man walks in front of a Sears store in Mississauga, Ont. Oct. 6, 2017. But it's unclear who customers would speak to about broken or malfunctioning appliances, as Sears said it was still looking for a buyer for its repair services. Sears Canada also said executive chairman Brandon G. Stranzl has resigned from its board of directors in light of the store liquidation. Stranzl had stepped away from his role in August, and had been in talks to buy the retailer. Sears Canada currently has 74 full department store locations, eight Sears Home Stores and 49 Sears Hometown stores. The final store liquidation will put 12,000 employees out of work, in addition to those who have been already laid off or have left the company following 59 store closures in June.